Leaning out by a viewpoint looking out from an airplane window’s closing the eyes before sleeping did You ever dream of FLYING? 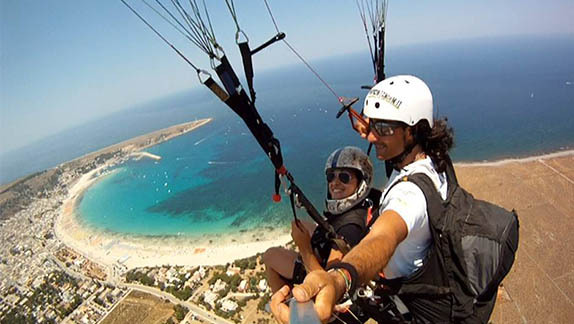 We can book for You, this unique experience with the " Parapendio in tandem" Association, whose professional pilots are selected between the best pilots in Italy to let You achieve this dream of flying a PARAGLIDE IN TANDEM with. 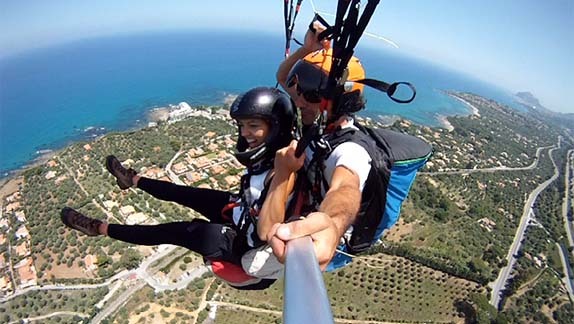 Free flight with paraglide means “have a walk in the sky” in the softest, the quietest and a more quiet way: exactly as You dream it and You wouldn’t believe it!! The view of the landscapes are usually observed and enjoyed by the birds: and for a human the view of the view of such landscapes for that point is emotional and unreal, the experience is unforgettable because when you take such a flight , you'd release lot's of nerves and activate lot's of unknown and unused senses …all these generates unique and undiscovered sensations which one can never forget in a lifetime !